You’ve decided it’s finally time for you to go sailing on the trip of a lifetime you’ve always dreamt about, but where should you go? It is essential that you think about where want to go, how long you want to sail for and where would suit your family best, although if you’re not sure, The Big Sail’s destination experts can help you decide – just get in touch! Here are some of our best locations for an unforgettable sailing holiday and exactly why we think you should visit them. If you’ve always wanted to visit Santorini, Mykonos and Crete, don’t be forced into choosing just one and instead visit them all on one trip. 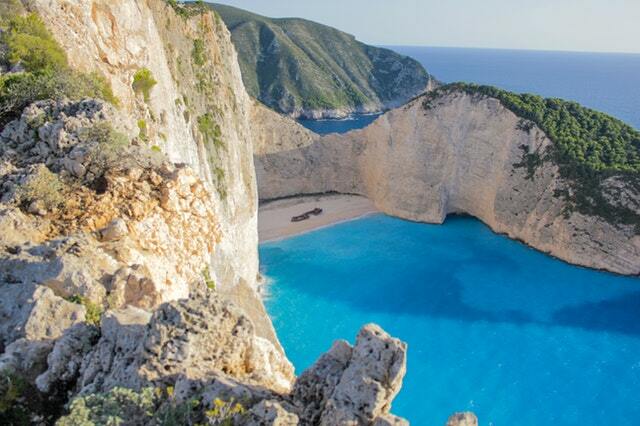 Greece has over 6000 islands, with endless ports and turquoise waters. Sailing has been a part of Greek culture for thousands of years, so what better way to embrace Greek life than by sailing. Feel the warm sea breeze, visit endless Greek ruins, explore picturesque towns, and make your holiday one to remember. Sailing around the Greek Islands is on every sailor’s bucket list so make your dream a reality and see what the Mediterranean waters can offer you. Some of the most popular places in Greece to set sail from include Athens, Corfu, Kos or Lavrion (for the Cyclades islands including Mykonos). Croatia has become an increasingly popular destination with Brits over the past five years and with 1185 islands dotted along the Dalmatian Coast, what better way to explore this beautiful country than on the water. Whether you’re drawn by the sea, sunsets, parties, picture perfect beaches, night life or history, Croatia has something for everyone. One of the most popular places to dock is the island of Hvar and for good reason. Holding everything from traditional fishing villages to hidden coves, Hvar is an extraordinary place to visit. Set sail from Split, Dubrovnik, Zadar or Pula for your Croatian sailing experience. The British Virgin Islands is made up of 60 tropical islands, each unique and with its own charm. The BVI offers boutique shopping, white sand beaches and an abundance of natural beauty. It is very popular with sailors and divers who travel far and wide to explore the coral reefs. The Indians reef is particularly special, and the wreck of the Rhone is one of the best diving sites in the Caribbean. What’s more, the calm, clear waters make this diving hot spot a tranquil haven. Whether you’re exploring The Baths at Virgin Gorda, Cow Wreck Beach on Anegada or heading to the Soggy Dollar Bar for a Painkiller cocktail, the BVI never disappoints. BVI adventures start from Tortola, but for other Caribbean sailing ideas, you can also charter a yacht from Antigua, Barbados and the Spanish Virgin Islands amongst others. What better way to explore the beautiful tropical Island in the Gulf of Thailand than by boat. There are a whole range of amazing Thai islands to explore that all hold something a bit different. Koh Tao is great for getting away from the bustle of Koh Samui and offers some of the best scuba diving in the Gulf of Thailand. It is one of the best places to learn, and because of the competition between dive shops, it is one of the cheapest too. It is also known for rock climbing and hiking, where you’ll be rewarded with breathtaking views. If you’re looking for a party, Koh Phangan is home to the legendary Thai full moon parties, and its reputation has only grown over the past 30 years. Alternatively, Koh Chang is far quieter, full of white sandy coves and beaches, rainforests, coral reefs, high mountain peaks and scenic waterfalls. So, don’t settle for visiting just one city, but explore as many places as you can on an unforgettable sailing holiday. For our full list of destination ideas please visit The Big Sail’s destination page, or if you are keen to explore somewhere not yet listed on our website – please get in touch as we can organise charters in pretty much any country that has a coastline!